Dr. David O’Hara serves as the Chief Operating Officer at the Westchester Institute of Human Development (WIHD), one of 67 University Centers of Excellence in Disability Education, Research and Training in the United States. Each year WIHD provides comprehensive medical and dental services to over 5,500 adults with intellectual and developmental disabilities. In 2014, Dr. O’Hara was selected as one of 12 new health information technology fellows by the Office of the National Coordinator for Health Information Technology given his efforts to reduce health disparities among individuals with disabilities through the use of smart technology and to promote better patient-centered care for people with limited health literacy. For the past 12 years, Dr. O’Hara has been actively involved in the development of smart technology applications designed to promote more effective health care for people with cognitive disabilities. These applications include accessible patient experience surveys that allow people with limited literacy to respond to directly to questions about their health and health care experience as well as applications focused on promoting more effective health care for people with a range of chronic health conditions through use of the prompting and coaching capabilities that can be built in to these applications. 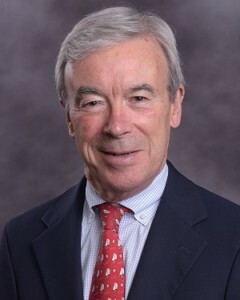 O’Hara, D. (2012). Designing and Using Cloud-Based Interactive Patient Experience Surveys to Assess the Effectiveness of Accessible Telecare Strategies for People with Intellectual and Developmental Disabilities. Invited presentation to the Agency for Health Care Quality and Research Annual Conference, Bethesda, MD. O’Hara, D. (2013). Smart Technologies to Improve Self-Direction and Health Management for People with Intellectual Disability. Invited presentation at the Health and Intellectual Disability Symposium and Seminar Series, Curtin University, Perth, Australia. Tanis, S., O’Hara, D., Goldberg, L. (2015). Leveraging Assistive Technology and Compliance to Improve Access and Participation for People with Intellectual And Development Disabilities. Plenary Panel Discussion moderated by Thomas E. Wheeler, Chairman of the U.S. Federal Communications Commission, Association of University Centers on Disabilities (AUCD) Annual Meeting and Conference, Washington, DC. Davies, D. K, Stock. S. E, Patrick, P. A., & O’Hara, D. (2015). Development and Evaluation of a Universally-Designed App to Support Self-Directed Diabetes Education and Self-Management for Individuals with Intellectual Disabilities. Poster, Association of University Centers on Disabilities (AUCD) Annual Meeting and Conference, Washington, DC. O’Hara, D., Minnion, A., & Davies, D. K. (2015). Promoting Self-Advocacy and Self-Direction through Multimedia Technology. Poster, Association of University Centers on Disabilities (AUCD) Annual Meeting and Conference, Washington, DC. Scheepers, M., Kerr, M., O’Hara, D, Bainbridge, D., Cooper, S-A., Davis, R., Fujiura, G., Heller, T., Holland, A., Krahn, G., Lennox, N., Meaney, J., & Wehmeyer, M. (September/December 2005). Reducing health disparity in people with learning disabilities: A Report from the health issues special interest research group of the International Association for the Scientific Study of Intellectual Disabilities. Journal of Policy and Practice in Intellectual Disabilities, 2(3/4), 249-255. Shogren, K., Wehmeyer, M., Reese, R., & O’Hara, D. ( June, 2006). Promoting Self-Determination in Health and Medical Care: A Critical Component of Addressing Health Disparities in People with Intellectual Disabilities. Journal of Policy and Practice in Intellectual Disabilities, 3(2), 105–113. O’Hara, D., Seagriff-Curtin, P., Levitz, M., Davies, D., & Stock, S. (2008). Using personal digital assistants to improve self-care in oral health. Journal of Telemedicine and Telecare, 14: 150-151. O’Hara, D. (December, 2008). Invited commentary on Wallace & Beange (2008): “On the need for a specialist service within the generic hospital setting.” Journal of Intellectual and Developmental Disabilities, 33(4), 362-364. O’Hara, D. & Bacon, A. (2010). Enhancing Self-Determination in Health Care and Improving Health Outcomes for Individuals with Intellectual Disabilities. In V. Prasher (Ed.) Contemporary Issues in Intellectual Disabilities. Nova Publishers, New York. Heller, T., Schindler, A., Palmer, S., Wehmeyer, M., Parent, W., Jenson, R., Abery, B., Geringer, W., Bacon, A., & O’Hara, D. (2011). Self-determination across the life span: Issues and gaps. Exceptionality, 31-45. Bacon, A., Walker, H., Schwartz, A., O’Hara, D., Calkins, C., & Wehmeyer, M. (2011). Lessons learned in scaling up effective practices: Implications for promoting self-determination within developmental disabilities. Exceptionality, 46-60. O’Hara, D. (September, 2012). Self-determination and health. In Self-determination and health. (Schwartz, Bacon, O’Hara, & Clark, Eds.). National Training Initiative on Self-Determination and the Association of University Centers on Disabilities: Silver Spring, MD. O’Hara, D. (September, 2012). The role of self-determination in reducing health disparities among people with intellectual and developmental disabilities. In Self-determination and health. (Schwartz, Bacon, O’Hara, & Clark, Eds.). National Training Initiative on Self-Determination and the Association of University Centers on Disabilities: Silver Spring, MD. Seagriff-Curtin, P., & O’Hara, D. (September, 2012). Promoting self-determination in oral health. In Self-determination and health. (Schwartz, Bacon, O’Hara, & Clark, Eds.). National Training Initiative on Self-Determination and the Association of University Centers on Disabilities: Silver Spring, MD. Stock, S., Davies, D., & O’Hara, D. (September, 2012). Self-determination, technology and health. In Self-determination and health. (Schwartz, Bacon, O’Hara, & Clark, Eds.). National Training Initiative on Self-Determination and the Association of University Centers on Disabilities: Silver Spring, MD. Schwartz, A., Bacon, A., O’Hara, D., & Clark, D. (Eds.). (September, 2012). In Self-determination and health. National Training Initiative on Self-Determination and the Association of University Centers on Disabilities: Silver Spring, MD. Schwartz, A., Bacon, A., O’Hara, D., Davies, D., & Stock, S. (2013). Using cognitively accessible survey software to promote self-determination among people with intellectual and developmental disabilities. Journal of Human Development, Disability and Social Change, 21(1), 17-28. White, A., Liberatos, P., O’Hara, D., Davies, D., & Stock, S. (2013). Promoting self-determination in health for people with intellectual disabilities through accessible surveys of their health care experiences. Journal of Human Development, Disability and Social Change, 21(1), 29-38.